Every company wants a ”Game changer” product. The game changer is characterized as a solution for a undetected weakness in an existing market with several products and suppliers. Often the solution can be found in optimizing the ratio between price and quality. This ratio is crucial because you want to create the best quality to keep up with the market desire for a minimal price. Another approach is to analyse the end user behaviour of products in a potential market from the moment a purchase is considered up to the moment the product is actually in use. If it appears that training is needed to be able to use a big market product then all alarm bells should go off because there is a big game changer opportunity. The coordination problem with the use of pMDI inhalers has been known for years. Technically, the problem can be overcome by breath-activated inhalers. There is a big difference in complexity between the standard inhaler and breath-activated inhaler. The market share of standard inhalers is much bigger than that of the breath-activated inhalers so many patients are struggling with the coordination problem. To get a new simple inhaler that solves this problem approved and on the market is a time and money consuming operation. Insight: Don’t make a new simple inhaler, but create an add-on solution for an existing inhaler. To approve an add-on is considerably easier and therefore time to market is shorter. The patient still can use his familiar inhaler with or without the add-on and therefore it is easier to market the product. 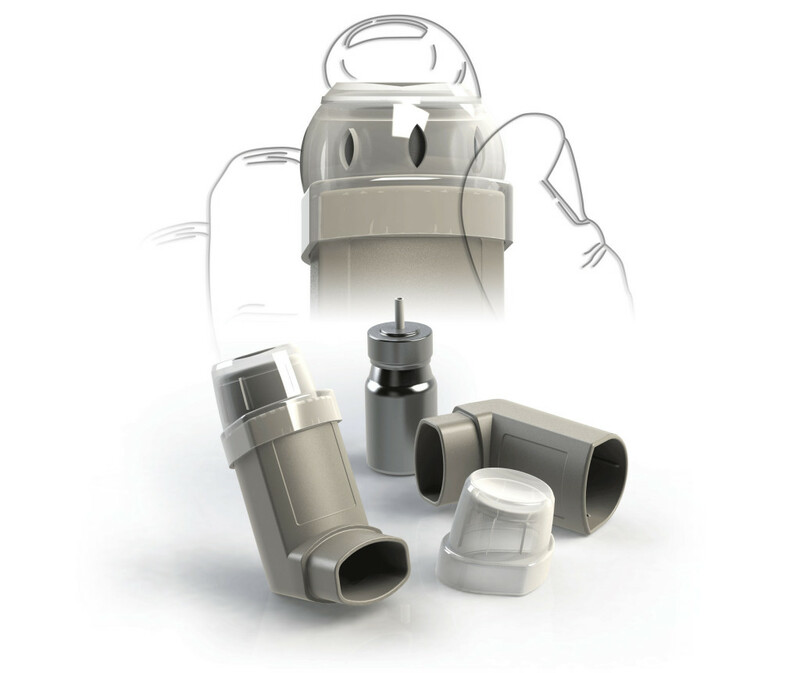 Solution: An add-on part which is placed on top of the inhaler so that during the actuation of the inhaler its closed air-inlets are opened. The coordination problem is overcome with only one additional part.